Gas Malaysia Berhad Initial Public Offering (IPO) received an overwhelming response with its public portion of 25.68 million shares. It was oversubscribed by 21.64 times. The IPO attract 44,561 applications or 581.4 million shares. The Institutional Price was fixed at RM2.20 per Offer Share. Accordingly, the Final IPO Price for the Retail Offering is fixed at RM2.20 per Offer Share. The IPO allocate 25.68 million shares for public. Of these, 12.86 million shares were allocated for Bumiputera category while 12.86 million shares were allocated for Malaysian Public category. Notices of Allotment will be dispatched by post to all successful applicants on or before 8th June 2012. 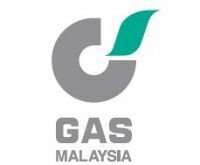 Gas Malaysia is expected to be listed on the Main Market of Bursa Malaysia on 11th June 2012 under stock name “GASMSIA”. but recently the ipo not very nice value. like prestech ipo. first day drop under ipo price. and a lot of new ipo.. drop below ipo price. hope u guys got luck on this. I didn’t get it as well. Damm it… =,=!!! Oversubscribed by ….. means nothing if there is insufficient $$$ floating around during the market opener ~ cos the market can at anytime turns bearish with indigestion from eurozone/us! I believe the 3 top shareholders will support the GASMSIA price but at what level is anybody’s guess! – that’s the sour scenario. Again, my fair day 1 price is around RM2.80 – give and take +/- 10 sen.
@arifin abdul latif: Sad to say that your prediction didn’t materialize. Lolx..